Opening up for the 2014 Earshot Jazz festival performance of Jacob Fred Jazz Odyssey at the Royal Room on Nov 1 was one of my favorite local jazz bands McTuff. 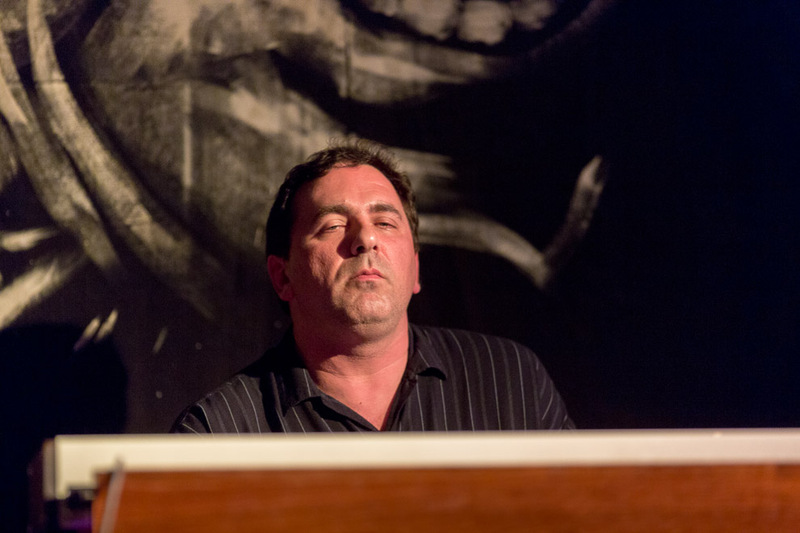 If you want organ-centric, you can’t do much better than Seattle’s McTuff. 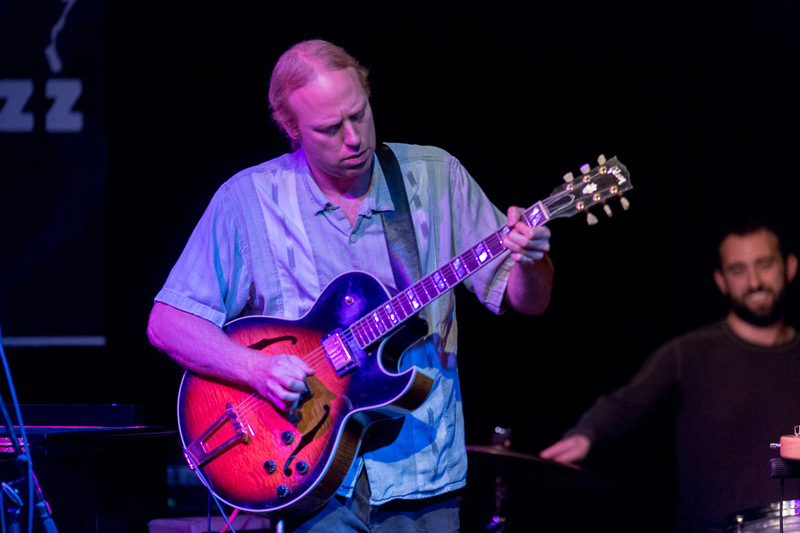 Led by Hammond organ maestro Joe Doria, McTuff also contains one of the region’s most dexterous guitarists, Andy Coe, and drummer Tarik Abouzied. Along with Afrocop, but in a bit more of straight-ahead manner than that younger group, McTuff writes alluringly malleable tunes, redolent of soul, ablaze with technical virtuosity, and often funky. 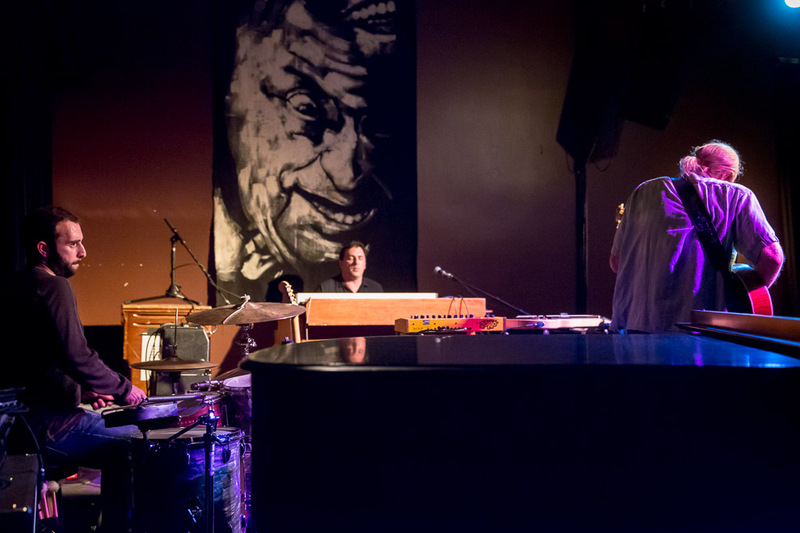 McTuff began in 2008 as an ode to jazz organ greats Jimmy Smith and Captain Jack McDuff, and has since evolved into a versatile and exciting group that has performed across the nation. The band has two albums under its belt: their 2009 release McTuff Vol. 1 and their 2011 follow-up McTuff Vol. 2: After the SHOW, with a third slated for release in Spring 2015. 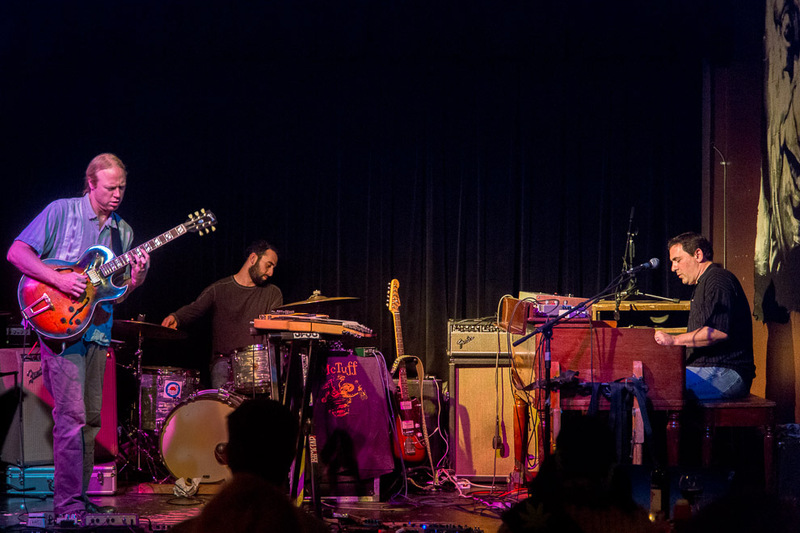 A McTuff cover (or better, a radical reinvention) of the Beatles’ “She’s So Heavy” has been witnessed during one of their weekly, free Tuesday shows at the Seamonster. McTuff is becoming a Seattle legend.